BAKERSFIELD, Calif. — The Bakersfield Police Department has reopened a cold case from 1979. In fact, today marks the 40th anniversary of her murder. On January 16, 1979, Linda Sue Adkins, 28, was found dead in a field along the west side of the Hilton Inn in the 3500 block of Rosedale Hwy. Adkins was last seen on January 11, 1979, around 11:00 pm., at McGuffey’s Bar, which was also located in the 3500 block of Rosedale Highway. It was determined that Adkins was killed, and detectives worked the case for several years without an arrest. In 1983, Texas law enforcement arrested serial killer Henry Lee Lucas for murder. While in custody, Lucas admitted to committing several homicides throughout the country, several of which were in California. Information about Lucas and his claim to have committed several murders in California was disseminated to California law enforcement agencies, which included the Bakersfield Police Department in 1983. In 1984, detectives followed up on this information and interviewed Henry Lee Lucas regarding the murder of Linda Sue Adkins. During the interview, Lucas admitted to murdering Linda Sue Adkins in what was deemed a credible confession at the time. The homicide case was closed with Lucas listed as the suspect. However, he was not prosecuted locally because he was serving a sentence for murder in Texas at the time. Lucas died in prison in 2001. In the years that followed, law enforcement determined Henry Lee Lucas falsely confessed to a number of murders that were subsequently cleared by investigators. Agencies throughout the country have since re-opened cases attributed to the false confessions by Lucas. 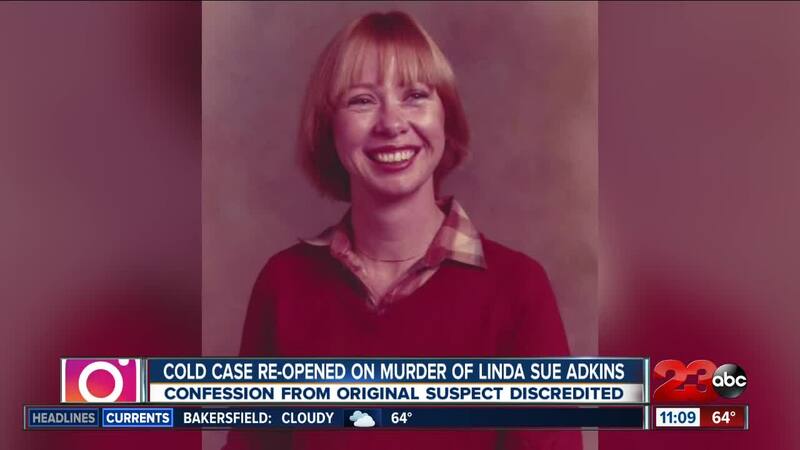 Within the last year, Bakersfield Police Department Cold Case detectives reviewed information about the murder of Linda Sue Adkins. That information led them to question Lucas’ culpability for this murder. Based on their review, Lucas’ discredited confessions, and the availability of newer investigative technology, the Bakersfield Police Department has decided to re-open the investigation. There is no statute of limitations for murder and the Bakersfield Police Department remains dedicated to seeking justice for Linda Sue Adkins, her family, and all the victims of violent crime. Anyone with information regarding this investigation is asked to contact Detective Christina Abshire at (661) 326-3559, or by email at Cabshire@bakersfieldpd.us.